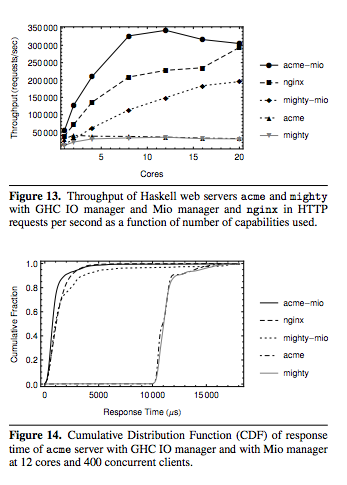 We also show that with Mio, McNettle (an SDN controller written in Haskell) can scale effectively to 40+ cores, reach a thoroughput of over 20 million new requests per second on a single machine, and hence become the fastest of all existing SDN controllers. The new IO Manager in GHC 7.8 improves realistic web server throughput by over 6.5x and expected response time by 5.7x with room to grow. Form processing has never been better. A library based on Formlets, Digestive Functors enables you to validate and render your forms, including validating straight JSON requests. As Snap grows, so will this book. 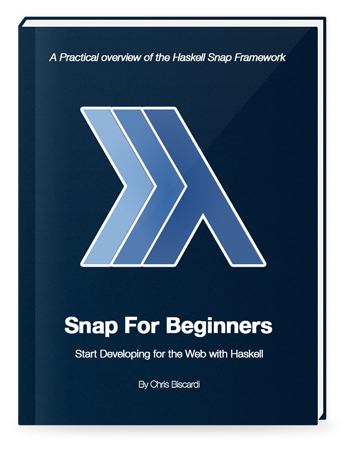 Planned chapters include stream processing with io-streams, Streaming JSON, writing your own Snaplets and a deeper look at the availible database Snaplets. The book comes with multiple projects filled with executable example code, Designed to make it easier to get up and running faster.